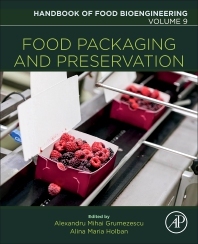 Food Packaging and Preservation, Volume 9 in the Handbook of Food Bioengineering series, explores recent approaches to preserving and prolonging safe use of food products while also maintaining the properties of fresh foods. This volume contains valuable information and novel ideas regarding recently investigated packaging techniques and their implications on food bioengineering. In addition, classical and modern packaging materials and the impact of materials science on the development of smart packaging approaches are discussed. This book is a one-stop-shop for anyone in the food industry seeking to understand how bioengineering can foster research and innovation.